Hess Kincaid Leach Architects will be at British Homes Awards Stand S8 at Ecobuild 2011 in London’s Docklands ExCel centre 1-3 March 2011. Hess Kincaid Leach will present outstanding projects from their portfolio of sustainable schemes demonstrating environmental design. 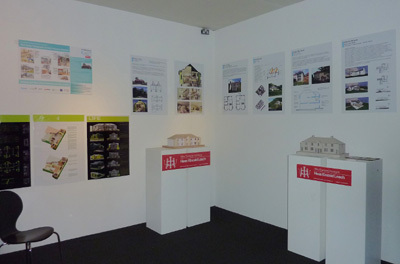 The Awards Stand will showcase the runner-up entries in the BRITISH HOMES AWARDS Design Competition, plus “GREEN FOR LIFE”, the winning energy efficient retrofit scheme voted number one by Daily Telegraph readers. Green for Life was announced the winner at The RIBA Stirling Prize, London in October 2010.